Manomet will be well represented at the 2019 Maine Sustainability & Water Conference! Lora Winslow, Ethel Wilkerson, and Peter Cooke, who are all in our Sustainable Economies program, will be presenting. Winslow and Wilkerson will be discussing Preparing the Next Generation: A Sustainability Curriculum Focused on Professional Development at 2:00 p.m. 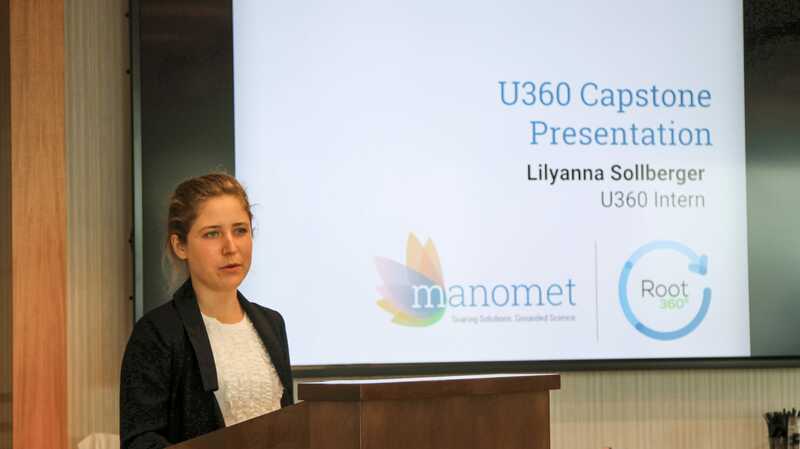 This presentation will share findings from Manomet’s U360 college internship program, a curriculum-based sustainability internship program for college undergraduates. U360 gives environmental, business, economics, and science students real-world experience in three vital areas that are not taught in the classroom: applied sustainability, career skills, and how to engage people with differing viewpoints. Cooke will be presenting at 3:15 p.m. on Students providing sustainability assessments for sector based businesses. Identifying opportunities at businesses is always educational, but how does one get the businesses to then perform better and take action on potential cost saving recommendations. The curriculum for the sustainability courses taught by Mr. Cooke includes these concepts and tools that become skills as the semester advances. Criteria from state sustainability programs are also built into the curriculum. Colleges in New Mexico, New Jersey, and New Hampshire are all working with Mr. Cooke to replicate the methodology.